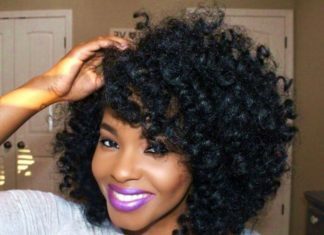 Top 25 Gorgeous Braided Updos You'll Love To Try! 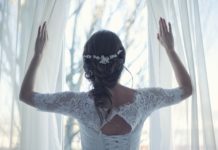 The updo has long been a staple of weddings, proms, and other formal events. 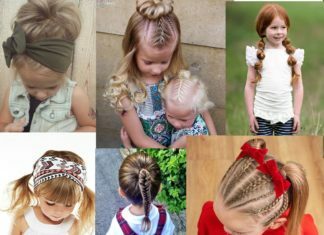 Conversely, braided hairstyles have long been a popular choice for both informal and formal occasions and have only been growing in complexity as time goes by. It seems only natural, of course, that some trendy stylists have began combining the two and creating stunning works-of-art that seem nearly impossible yet are highly coveted. We’ve gathered 25 of the most stunning, luxurious, and beautiful braided updos in one place to inspire our truly daring readers to take a step out of their comfort zones and try one of these dazzling braid styles! Combining a crown braid and pinned updo will make your hair braids the talk of the town! 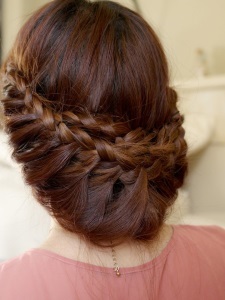 Begin with a dutch or french braid and pin around your head, pulling the strands loose for a ‘bubble’ effect. Pin the rest of your length and pull a few strands loose. 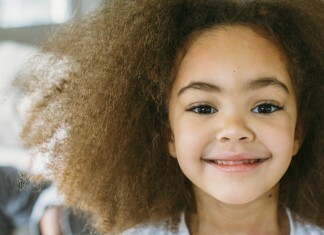 Two of almost anything is better and this is especially true when it comes to braids. 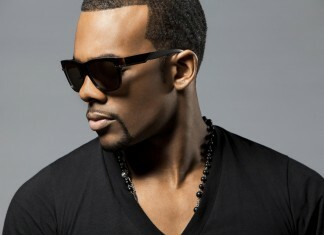 To recreate, separate your hair in the middle and gather each section just behind your ear. Braid using your favorite technique and then wrap over your head, pinning in place. We love how Julianne Hough has combined multiple loose twists and pinned along the side of her head to create a funky texture and an undeniably beautiful updo. 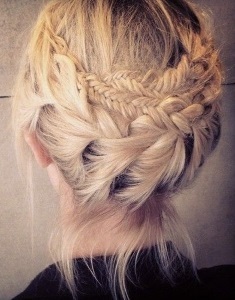 Recreate this by creating several loose braids on one side of your part, then pin along your head. Take the remainder of your hair and pin at the back of your head. Fauxhawks are a great mix of femininity and rockstar. If edgy updos for long hair is what you’re looking for, then ditch the scissors and recreate your faux hawk with this trendy updo: braid your hair along the middle of your head and secure with an elastic. Tug strands loose and tease your bangs, pinning at the beginning of your braid. Roses are beautiful, just like this style. Begin by separating your hair into several sections. Braid in your favorite style and secure with elastics, then wrap the braids in a circular motion at the back of your head, pinning to create a beautiful rosette effect. This look toys with a variety of textures and even has a cute feather embellishment! Copy the model’s style by creating one or two small, simple braids in the thickness of your hair. Gather at the back of your head and secure with an elastic, then take sections of your hair and wrap around the elastic, pinning. This look combines a simple tri-strand braid with a fishtail braidand cute bun. Create yourself by braiding a section of your hair in a tri-strand, then an adjacent section into a fishbraid. Pin around your head and take the remainder of your hair, securing messily with elastic and tugging loose strands and pinning for a ‘wild’ vibe. A braided updo doesn’t have to be overly complex to be beautiful. Take a note from this style and combine a loose crown braid with a low chignon or bun. This look relies on soft, loose strands to create a feminine and delicate style. Pair it with simple makeup to keep from overwhelming the dainty effect. This style is so cute and fun, something about it just reminds us of top hats and dapper days! 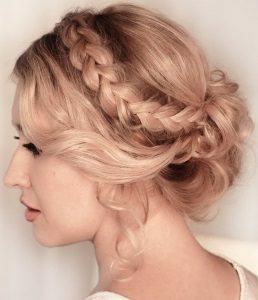 To create this style yourself, gather your hair to the front of your head and braid your length into a dutch braid, pinning into place. You can also create a high bun and wrap your braid around the bun. If you’re looking for pretty and easy updos, This simple, chunky braid is perfect for every day or formal occasions and simple enough that even a beginner stylist should be able to recreate it. 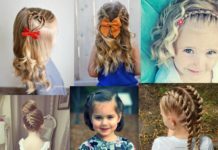 How to braid hair? Take the front section of your hair and twist, then combine with the rest of your hair in a tri-strand braid. 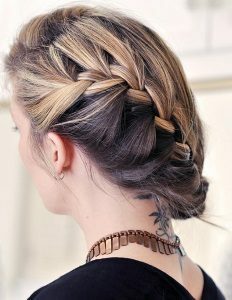 Gather half of your hair at the top of your head and pin aside, then take the remainder and create a braid in your desired style. 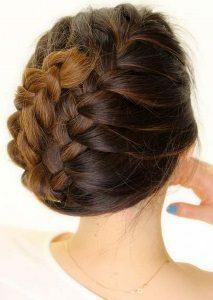 Once you’ve reached the crown of your head, combine the braid with the rest of your hair and create a sweet, loose bun. Braids and buns go together like peanut butter and grape jelly! 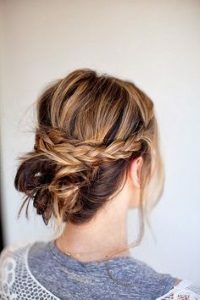 Recreate by braiding a section of your hair and pinning halfway around your head. Tale the rest of your hair and create a low, messy bun using elastic and pins. Pull the bangs and sides loose to compensate for the complexity of the back of your hair. The chignon is a beautiful, lovely, classic style in its own right but we love this braided update. 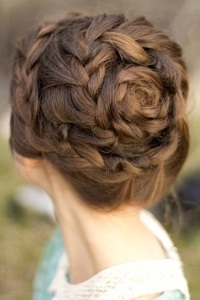 Mimic this style by french or dutch braiding your length and then pinning as you would a traditional chignon. Add a flow pin over your ear or gem swirls into your hair for even more romantic glamour! This cheeky, fun look is so well-put together that we’re jealous of the model! Achieve this braided beauty by braiding your length in various styles and sizes. The model appears to have a very loose dutch braid as well as two fishtails. Once you have finished plaiting, pin your hair along your head for a funky crown effect. 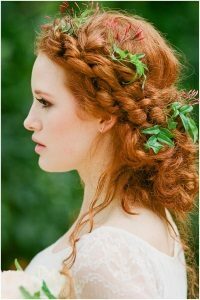 While the majority of the model’s hair is un-braided and simply pinned into place, the loose braid just above her ear adds the right amount of detail to this romantic, natural updo. Mimic by creating a loose two-strand braid and pinning along your head, taking the top layer of your hair and create a loose bun to hide the end. 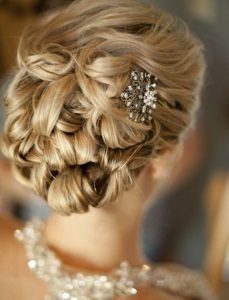 Braids just add an extra element of beauty to an updo! Create this look by dutch braiding your length and then taking the braid and pinning along the back of your head beside the initial strand. Finish off with hairspray for a strong, all-day hold. This looks combines two twist braids with a pinned waterfall braid. Combine by creating one twist braid, then braiding the second and pulling a strand loose every time you go over your hair. 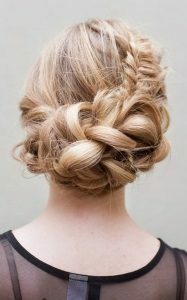 Pin the twists the your head and then pin the loose waterfall strands underneath for this darling ‘do. This look is just a little wild, just a bit perfect. Begin with a crown braid and then gather your length, creating a loose multi-section bun. Tug loose strands to mimic the appearance of ivy vines and then add several bunches of ivy leaves (you can use fake!) 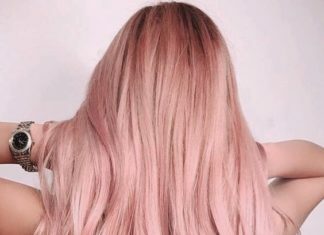 to really make this ‘do pop! Great for an outdoor wedding. Something about this style is very Pride and Prejudice-esque. Mimic by creating a crown braid high on your head, pinning at the back of your head. Next, create a layered bun and tug loose for texture; sweep your bangs loosely back and pin beneath your braid, allowing strands to fall out for a romantic vibe. This looks takes several loose two-strand braids and snakes them along your head, pinning to create a multi-dimensional effect and dramatic texture. After pinning your braids, hold in place with hair spray and add a decorative pin to really bring out the full effect of this ‘do. We love the model’s tiny, textured braids and how they work so well with her bun! Create this look yourself by braiding two (or more) tiny french braids along your head, then gather your hair at your crown and secure with elastic. 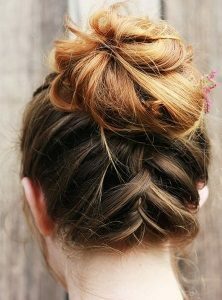 Create a bun and fan out the side, pinning appropriately; then take your braids and pin along the base of the bun. This look is a combination of what appears to be a loose two-strand that has been pinned around itself to create a bun and a snaking fishtail braid. Mimic by fishtailing a portion of your hair and then braiding the rest, pinning the fishtail beneath the first and creating a textured bun. 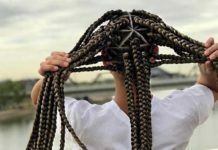 The model’s dramatic bangs are all thanks to a loose two-strand braid, which has been pinned along her head to form a crown. 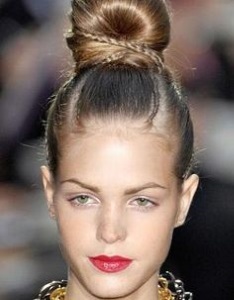 Combine with a low, messy side bun and add a fun pin or other hair piece to really bring this look together. Hairspray is necessary to keep everything in place! 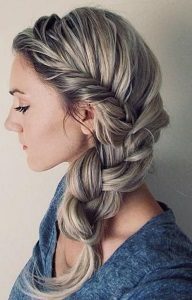 Teeny tiny two-strand braids could be substituted with any style to recreate this look: simply braid along your crown and then combine with your length, twisting in the back to create a bun at the nape of your neck. 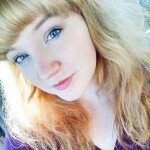 Allow your bangs to fly free to combat the otherwise polished effect. 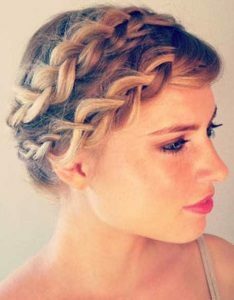 Thick, beautiful milkmaid braids always look lovely–especially when you pull strands loose, like the model has done with her bangs. 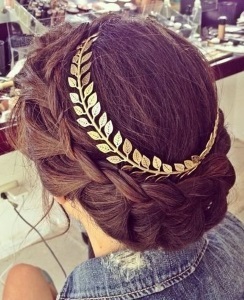 Pair with a metallic headband to create a Grecian or Roman vibe perfect for sorority mixers!